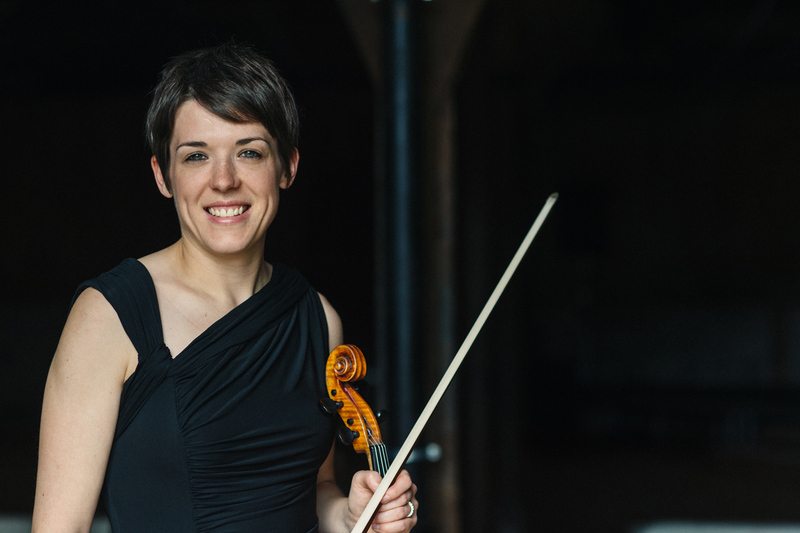 Glasgow-born Emma Stevenson began playing the viola at the age of 15 when she was awarded a place at the specialist music school, Douglas Academy. Following this she was offered the Stevenson Scholarship to study at the Royal Scottish Academy of Music and Drama, before continuing her studies at the Royal College of Music in London. While studying Emma received many prizes, awards and opportunities, including the Viola Challenge Prize for three consecutive years, Watson Forbes Competition, Ian D Watt Award, John McInulty prize for Orchestral String Playing and was awarded a place to study on the orchestral pathway at the Royal College of Music. Emma performed in many festivals while at the RCM culminating in her position of principle viola and ‘rising star’ performance in the Cadogan Hall, London. In addition to her work with Korda Quartet Emma is No.3 viola player in the orchestra of Scottish Opera. Other freelance work includes Royal Liverpool Philharmonic Orchestra, BBC Scottish Symphony Orchestra, Scottish Chamber Orchestra, Scottish Ballet and Scottish Ensemble. She has also appeared at festivals such as Musique Cordial, Vignette Opera Productions, Lake District Summer Music, Britten-Pears Foundation and Mendelssohn on Mull. Emma is passionate about continuing live musical performance and passing music on to younger generations, and through music, enriching, educating and developing confidence in children from all backgrounds.